As we grieve and struggle to process the magnitude of the destruction and loss of life from Puerto Rico to Las Vegas, we are not helpless. There are specific public policies that led us to where we are today, policies that we can fight to change. In The Nation’s Take Action Now newsletter this week, we focuses on how to make that happen. Call your representative in Congress and demand that they reject NRA-backed legislation that makes us less safe. There are two bills to focus on: the Sportsmen’s Heritage and Recreational Enhancement (SHARE) Act, a section of which would it easier to buy silencers, and the Concealed Carry Reciprocity Act, which would allow someone with a concealed-carry permit in one state to carry their gun in other states (effectively loosening concealed carry regulations across the country). Call your representative in the House by dialing (202) 224-3121 and demand that they reject these dangerous bills. Donate to the Maria Fund to help low-income communities in Puerto Rico, then call Congress to demand more aid. Around 95 percent of Puerto Rico remains without power, more than half of residents do not have access to clean drinking water, and the Center for Investigative Journalism in Puerto Rico has suggested that the death toll could end up in the hundreds. The Hurricane Maria Community Recovery Fund, housed at the Center for Popular Democracy (CPD), is raising money for communities hardest hit by the storm. You can donate here. When you’re done, call all three of your members of Congress and demand that we do more to help Puerto Rico. The CPD has a list of demands you can use as a guide. Learn the truth about gun violence in America and spread the word. Shockingly, the federal government does not even properly research gun violence (let alone solutions to it), all because of a 21-year-old law lobbied for by the NRA. 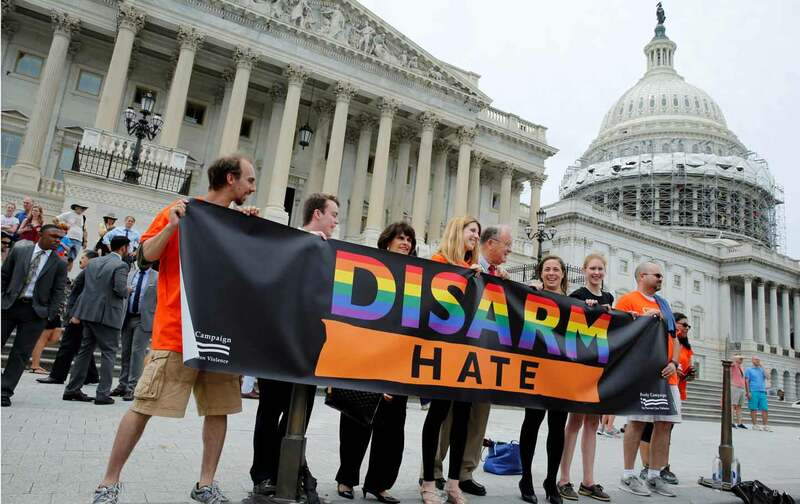 To educate your community, check out the Gun Violence Archive, which has key information you can browse and share on social media. And while you’re at it, check OpenSecrets to see if your representatives take money from the NRA—then spread the word.